It was March 23. Clear blue skies, sunny with a high of 62 degrees Fahrenheit. Jeff was gone for the day, shredding down Mt. Hood, squeezing in one more snowboarding session this season. Me, I used the quiet Sunday for my favorite Portland activity: strolling (admittedly, to food and drink spots). 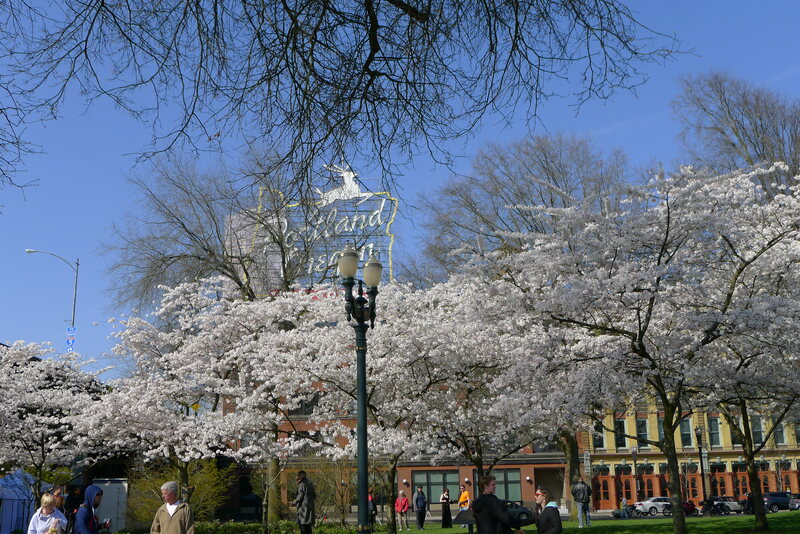 Have I mentioned how much I adore the walkability of PDX? 🙂 This time around, I knew I’d be gone for hours and popping in and out of places, so unfortunately Cooper couldn’t tag along. (Yes, Coop is still hanging in there! He’s doing well and continues to surprise his oncologist.) I set out in my lightweight jacket, Nike aviators and crossbody bag, and walked. Apparently a lot of other people had the same idea. A few blocks away, I crossed paths with my friend Mike B., who was out on a coffee stroll. A few blocks later, there’s Stephen, headed to the grocery store to buy cookie-baking supplies. 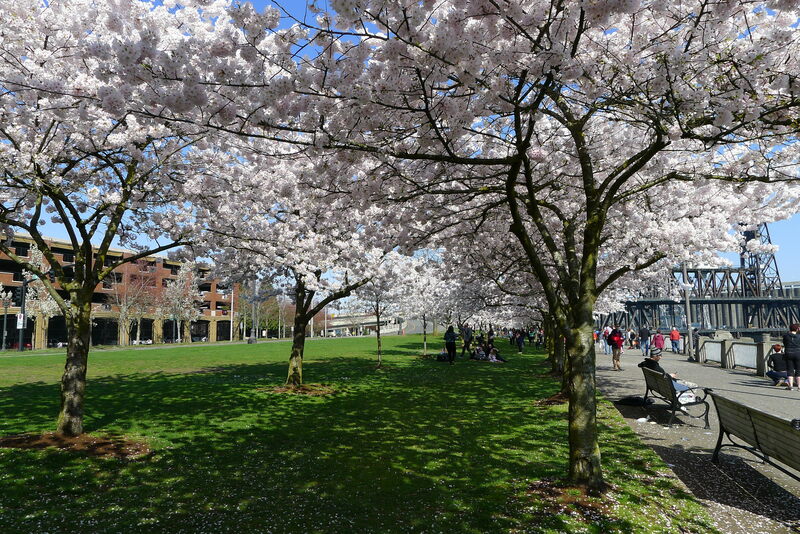 Stephen recommended that I veer toward the riverfront, where the cherry trees were in full blossom mode. I gladly obliged, but not without a trip to a bakery first. Lovejoy Bakers is one of my all-time fave spots in Portland. The Pearl District hangout ensnared Jeff and me in their awesomeness during our first month in Portland, when our corporate housing apartment was just across the road. Their Lovejoy Deluxe sandwich, with its oozy blue cheese, fried egg, thick-cut bacon, tarragon-dressed frisee, and ciabatta roll, is breakfast perfection. Again, there were many people with the same idea as me, and Lovejoy’s line to order was at least 20 people deep. I kept walking. 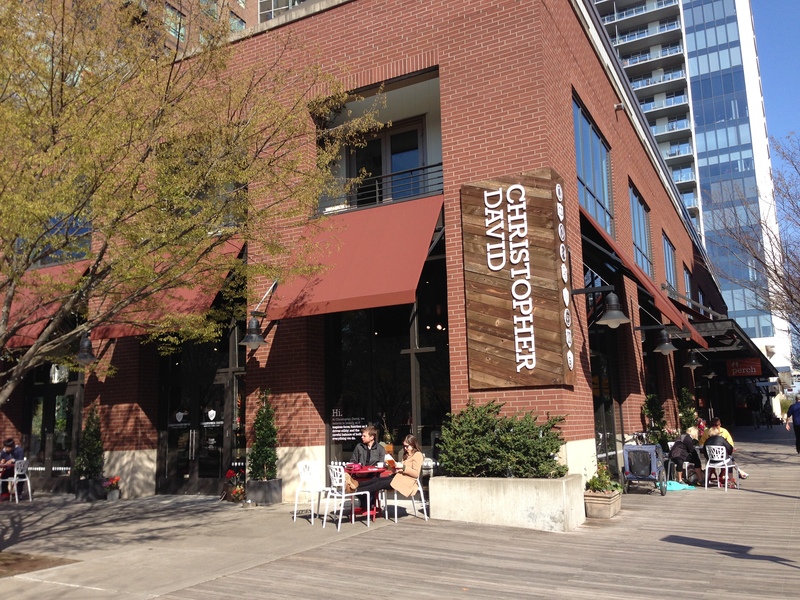 Coffee-sippers at outdoor tables lured me down the block, where I found the Christopher David Experience Design. 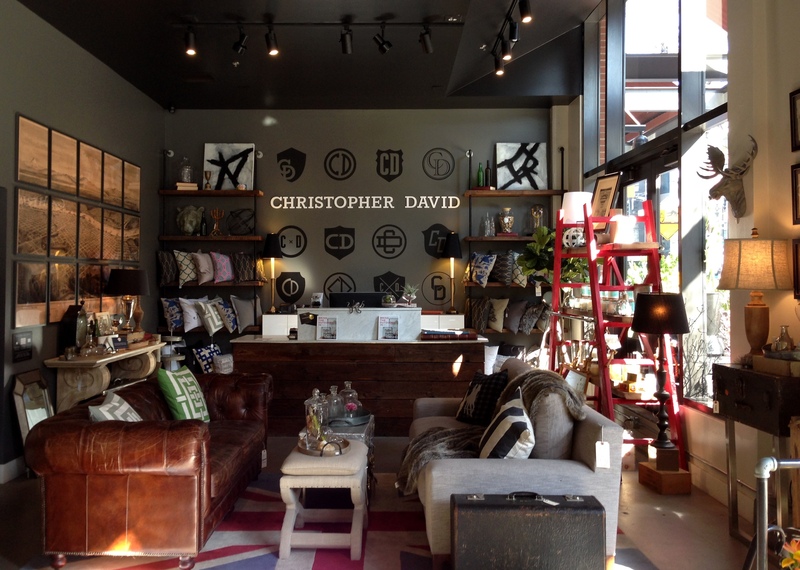 Coffee shop, flower shop, interior design shop, all in one. How oddly amazing! 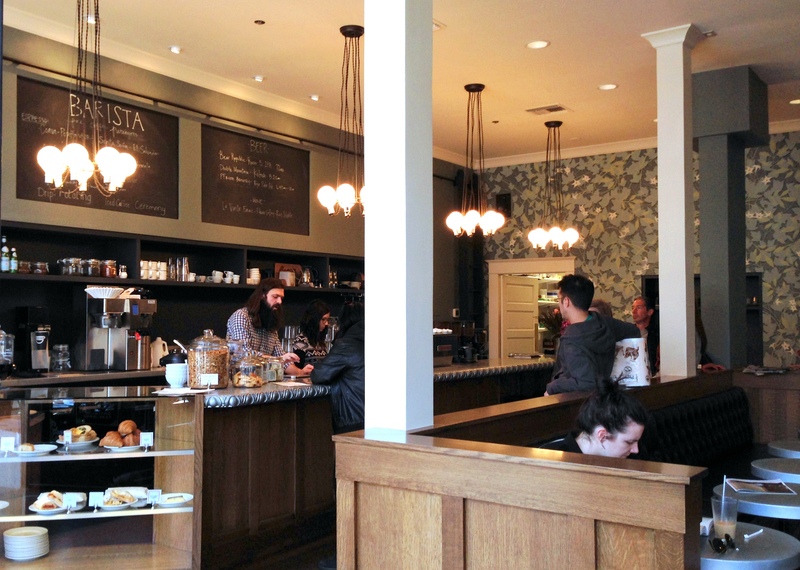 The space delivers a bit of sensory overload (in a good way): artfully-designed displays of furnishings and gifts, the scent of flowers interlaced with fresh espresso, a quiet buzz from patrons at the cluster of tables, sunlight streaming in the floor-to-ceiling windows. 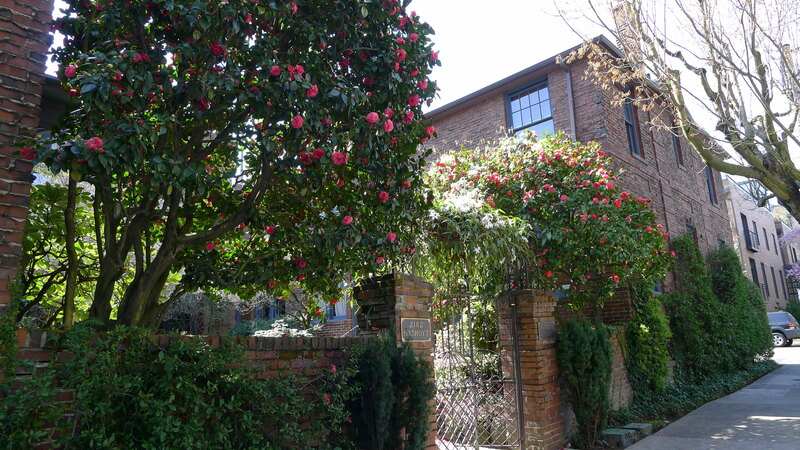 A residential and commercial design firm linked up with a florist and a Water Avenue Coffee alum to create the place, which opened in fall 2013. I promptly classified it as one of my happy places. Chai tea latte in hand, I headed to the waterfront. The 36-acre Gov. 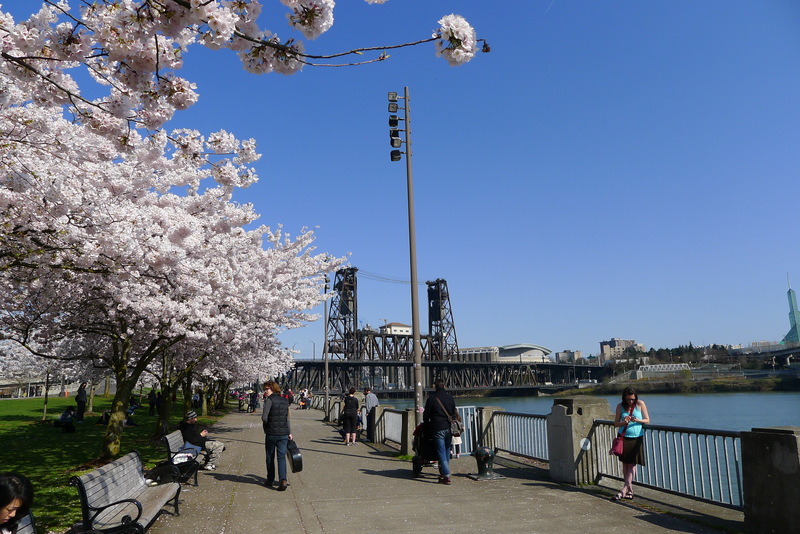 Tom McCall Waterfront Park stretches along the west side of the Willamette River, and the park’s paved esplanade is constantly dotted with joggers, walkers, bikers, skateboarders, and definitely its share of, let’s say, “transient folks.” The park includes a Japanese American Historical Plaza memorial, and to its north, 100 ornamental cherry trees. Which were in maximum white-blossomed glory. Under the flowered canopy, couples snapped selfies, families picnicked, and walkers like me soaked in the beauty of the springy scene. 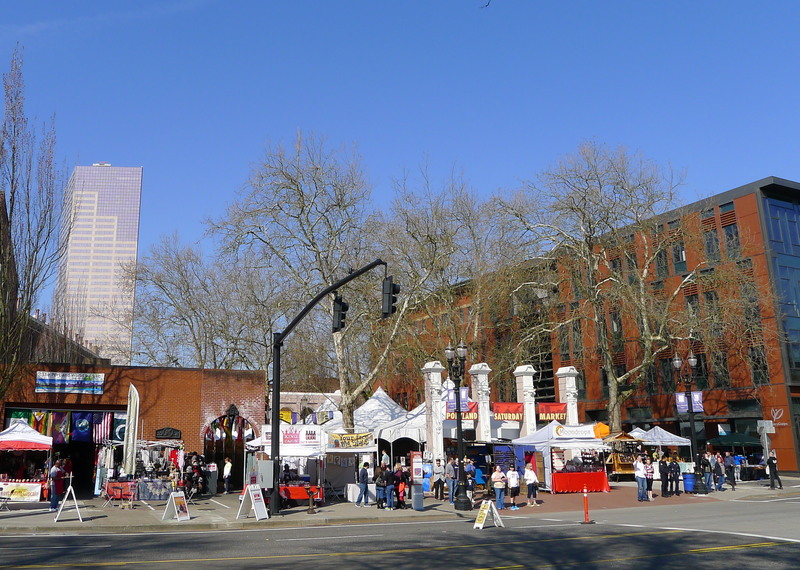 I continued my stroll down the esplanade to the Portland Saturday Market, the city’s largest outdoor arts and craft market. (And yes, the Saturday Market is open on Saturday and Sunday.) 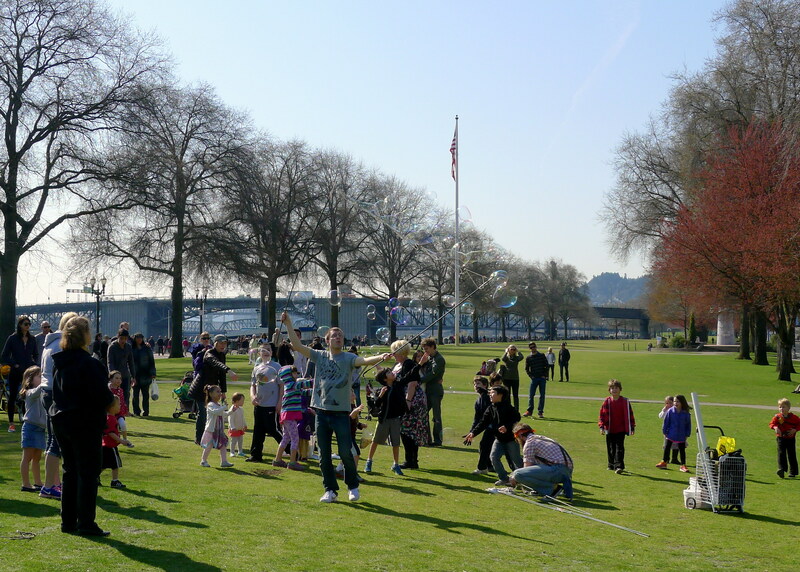 More than 250 booths of local artisans cover the park and spill into downtown, and there are tie-dyed shirts, paintings, carnival food, hula-hoopers, and trinkets galore. It sounds totally up my alley, but I’ve never gotten into it. In fact, I walked right by two different elephant ear booths, totally unfazed. After a couple stops at my downtown shopping staples, I needed some sustenance. Even though Little Big Burger was calling my name, I escaped into the just-opened Garden Bar Salad Co. across from the famous Powell’s City of Books. 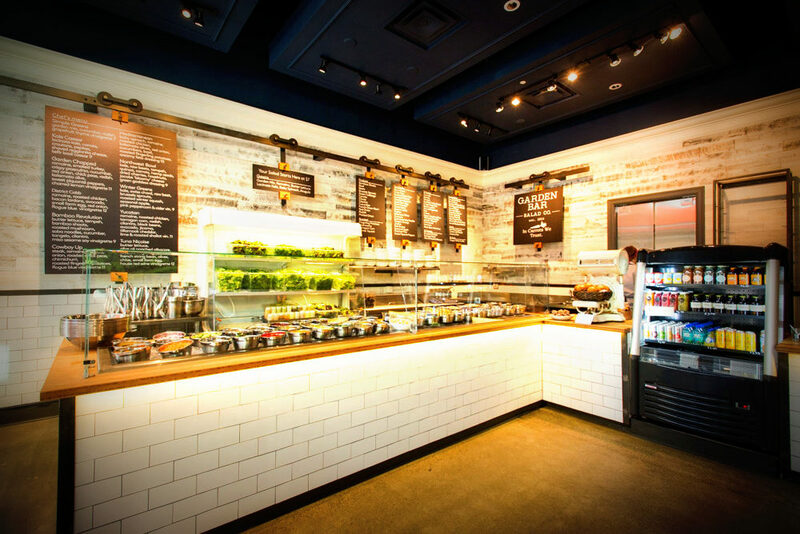 Portland’s first restaurant dedicated to made-to-order salads, Garden Bar offers an overwhelming array of greens, veggies, dressings and other salad components, most of them locally-sourced. Supposedly the guy behind Davis Street Tavern teamed up with a fitness instructor to create the place. 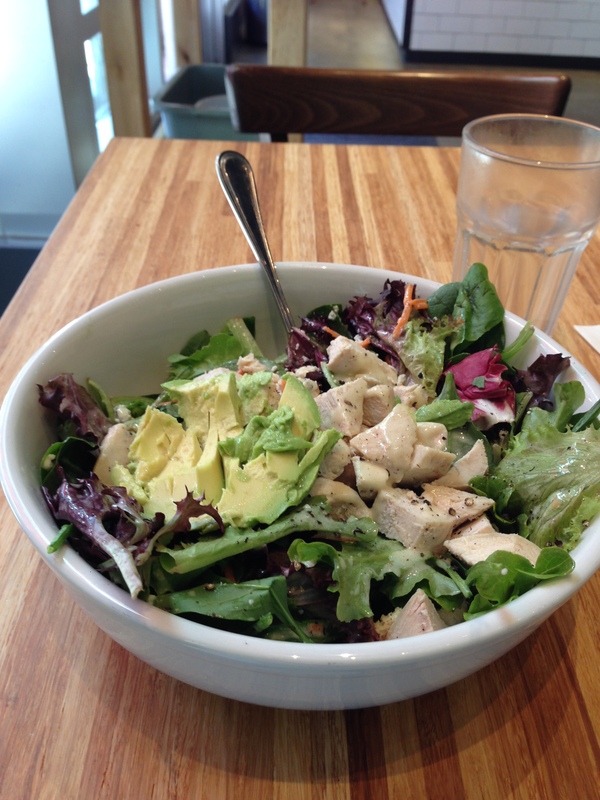 Bottom line: The workers were helpful as could be, and my design-my-own salad was delicious. And HUGE. A half of an avocado, blue cheese vinaigrette, spring greens, seasoned bagel chips, bacon lardons, chicken breast…oh mama. Even better, they sold my fave Portland Juice Co. drinks! Love, love, love this place. After several hours of Portland exploration and 3,000 NikeFuel on my Nike+ FuelBand SE Silver, I arrived home, where Cooper, my landlords Kim and Travis (who just returned from a once-in-lifetime trip to Africa and Europe), and I lounged on our sunlit front steps and welcomed Jeff home from his day in the snow. 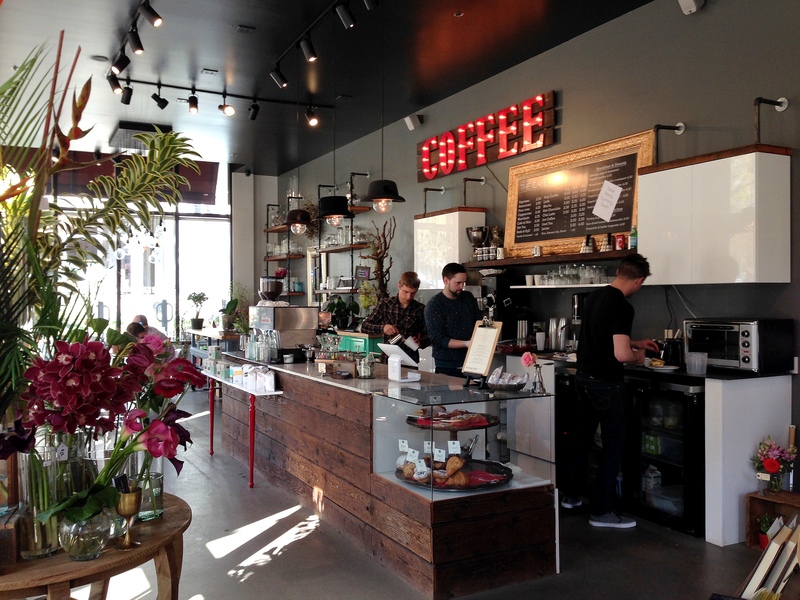 Mixing coffee, flowers and interior design – brilliant! 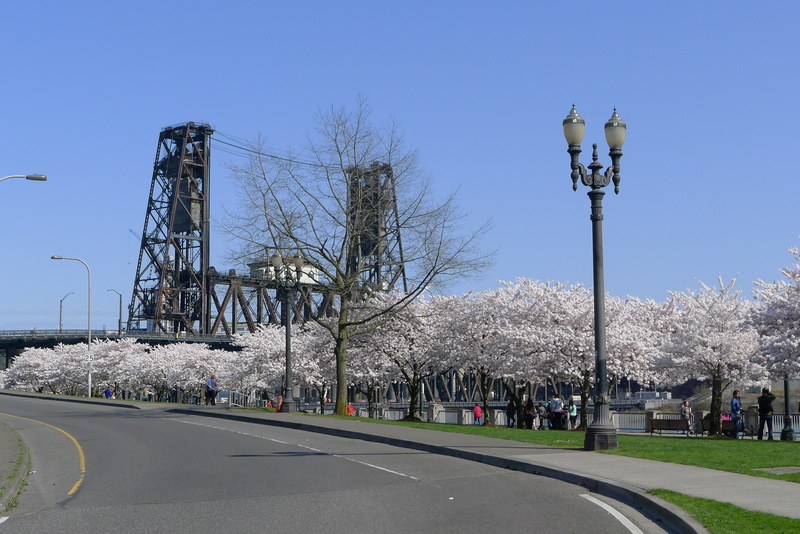 Cherry trees + Steel Bridge = so pretty! So darn good. Garden Bar deliciousness. great blog post! 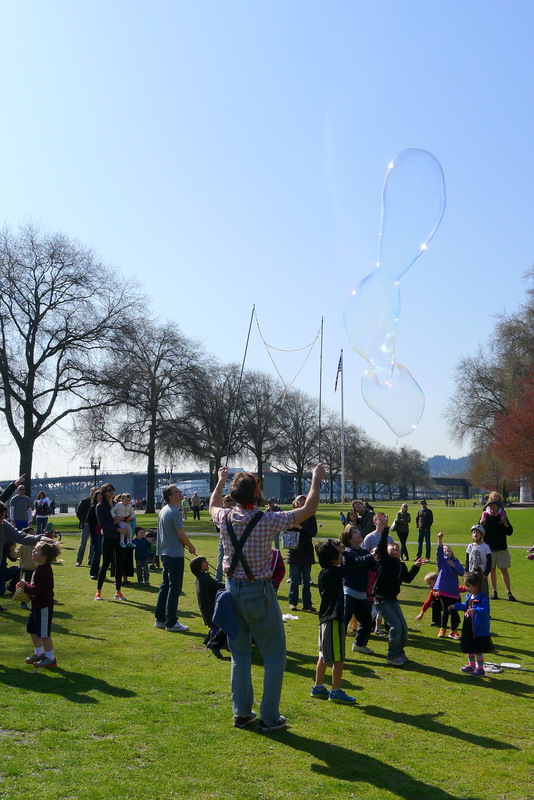 all the wonderful things about portland on a sunny day. and i LOVE christopher david!! How have I missed Christopher David for so many months? Such a cool spot!